Our Advisory Program was developed to serve the unique needs of a student taking an additional year to prepare for college and all the collegiate experience means. Our Advisors are responsible members of the community who serve as your son’s caregiver and advocate in all aspects of Academy life, and serve as the essential link between the family and the school. Each student is assigned an advisor, and we work hard to find the right member of the Bridgton Academy Community for each student. We believe that while students should be responsible for their own education, the Advisor is there to promote independence and self advocacy within our students while teaching them to utilize the resources provided to them. The Advisor will monitor your son’s progress throughout the year, and act as your primary liaison to the Academy should you have any questions, concerns or information about him that you want someone on campus to know. The advisor may counsel your son on issues such as homesickness or roommate disputes, or they may bring him chicken soup when he’s sick or surprise him with a cake on his birthday. 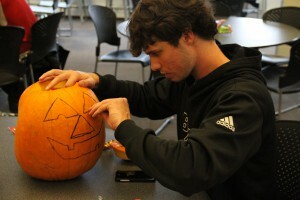 Bridgton Academy offers a variety of on- and off-campus activities to our students each weekend. In addition to weekly trips to the local laundromat and in-town church services on Sundays, students can go to local movie theaters or into nearby North Conway, NH for some outlet shopping. Some favorite activities include local hiking expeditions, fishing trips, bowling, sky-diving or taking in a Portland Sea Dogs baseball game. Bridgton Academy students helped cut the original trails at Shawnee Peak ski area on Pleasant Mountain over 80 years ago, and our relationship with the ski area continues today. All Bridgton Academy students are able to ski at any time during the season, for free, including rental gear. Find out more about Shawnee Peak on their website. Bridgton Academy employs a full time registered nurse and a full time school counselor. We will provide your son with high quality school nursing services, day infirmary care, behavioral and emotional assessments, supportive counseling and treatment coordination, and on-site medical care for minor illnesses and injuries. In addition to the above, Bridgton Academy is fortunate to be located within 5 miles of Bridgton Hospital which is affiliated with Central Maine Medical Center. Questions regarding Health Services here at Bridgton Academy can be directed to our school nurse, Kate Tucker at 207-647-7641 or via email at ktucker@bridgtonacademy.org.